Clive Selley is to be the new CEO of Openreach. Clive, who is currently CEO of BT Technology, Service and Operations (BT TSO) will replace Joe Garner, who is leaving to become CEO of Nationwide Building Society. The handover will take place this quarter. Clive is one of the UK’s foremost experts in network technology and digital infrastructure. He brings considerable technological and management experience, having held numerous senior positions at BT, both in the UK and overseas. He has specialised in networks, software development, IT and various forms of engineering. 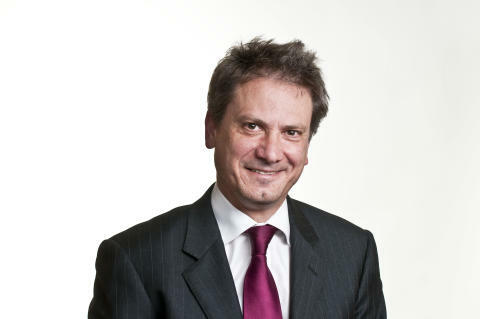 He is currently Group Chief Information Officer as well as CEO of BT TSO. The latter is the ‘engine room’ of BT, responsible for the company’s core networks and IT systems across the globe – including TV, Mobile and Conferencing - as well as its world class research and development arm at Adastral Park, Suffolk. As CEO of BT TSO, Clive is responsible for twelve thousand staff, eight thousand contractors and a multi-billion pound budget. He chairs BT’s cyber security council and has an extensive knowledge of regulatory affairs. He has been at the forefront of innovation at BT driving changes that have benefited the entire industry as well as millions of customers across the UK. He has overseen BT’s development of fibre broadband, including the doubling of speeds in 2012 and the pioneering research into G.Fast technology. His extensive experience and knowledge will prove invaluable in his new role. Clive is 54 years old and married with two children. His successor at BT TSO will be announced in due course. Speaking today, Selley said: “I am honoured to have been asked to lead Openreach at this important point in its history. The huge investment it has made over the past decade has made the UK a broadband leader, and we need to build on those foundations by deploying fibre to further communities and by rolling out ultrafast broadband. Customer service is a top priority of mine and I am committed to delivering further improvements by working closely with all industry partners who rely on our network to serve their customers. “Openreach is at the heart of the UK economy with our open access network underpinning a ferociously competitive broadband market. That has benefited consumers and businesses greatly. “The engineers are the lifeblood of Openreach and I have been hugely impressed by their tireless work in challenging circumstances during the current floods. They will play a crucial role in the coming decade as they have done to date”. Clive’s appointment coincides with the tenth anniversary of Openreach, BT’s local access network business. Launched on January 11 2006, Openreach is a highly regulated business that operates at arm’s length from the rest of BT Group under a regulatory model known as functional separation. Its role is to manage, maintain and upgrade the tens of millions of lines that run from homes and businesses to telephone exchanges across the UK where they are then connected to operators’ core networks. 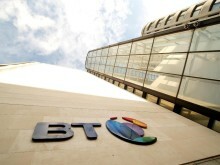 BT’s core network is managed by BT TSO. The UK market has changed beyond recognition since Openreach was created. During the past decade BT has invested around £20 billion on its networks with more than half of that via Openreach. The company is now planning further large scale investment with the aim being that ten million premises will have access to ultrafast broadband by the end of 2020 and the majority of the UK by 2025. The past decade has seen an explosion in broadband usage with the number of premises using the service over Openreach’s network rising from under seven million when Openreach was created to 19.6 million as at the end of September 2015. Competition has also flourished with the number of unbundled lines – where an external communications provider runs the service themselves – increasing from virtually nothing to almost ten million in the same period. This has been an astonishing transformation as the number of unbundled lines now exceeds the number provided by BT and smaller CPs who buy a white label service. Fibre broadband has been another success story with the technology first deployed in 2009 and availability now standing at more than 24 million premises. This has been one of the fastest deployments of fibre broadband anywhere in the world and other countries such as Australia are now following Openreach’s successful roll out model. The UK leads the EU ‘big five’ for superfast broadband coverage and take up. Ninety per cent of UK premises can already access fibre broadband and take up is fifty per cent higher in the UK than in Germany. The UK has also been found to be the most competitive broadband market in Europe and to have some of the lowest prices among the ‘big five’.